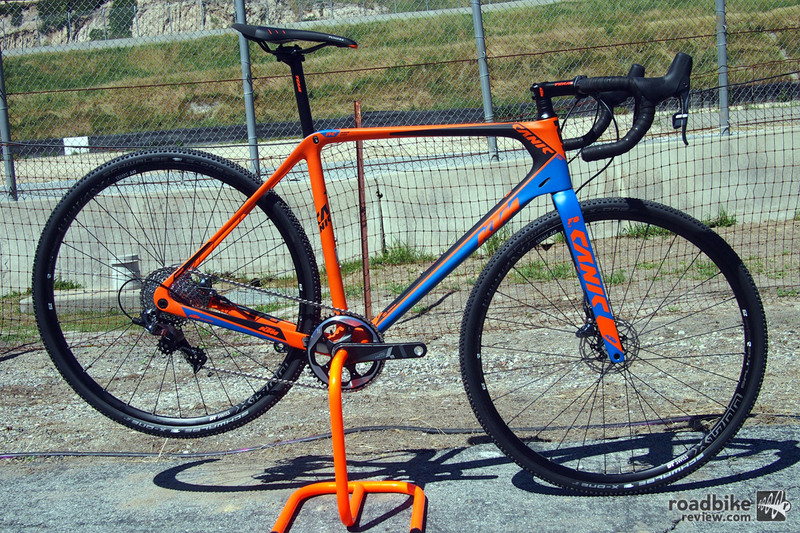 KTM brings their top-of-the-line carbon cross race rig to the US with a price of $4490 (click to enlarge). KTM is an Austrian brand that has a long and rich history in the world of motorycles and motorcycle racing. What most US based riders probably aren’t aware of, is that KTM has also been producing pedal bikes throughout the years since the 60’s. In fact, the inspiration for the 2016 Canic CXC 11 carbon cyclocross racer that you see here comes from Austrian National Champion Walter Obersberger who raced and won in the 1970’s. With this heritage, KTM is now bringing their pedal bikes to America with a US-based office located in Miami, FL. 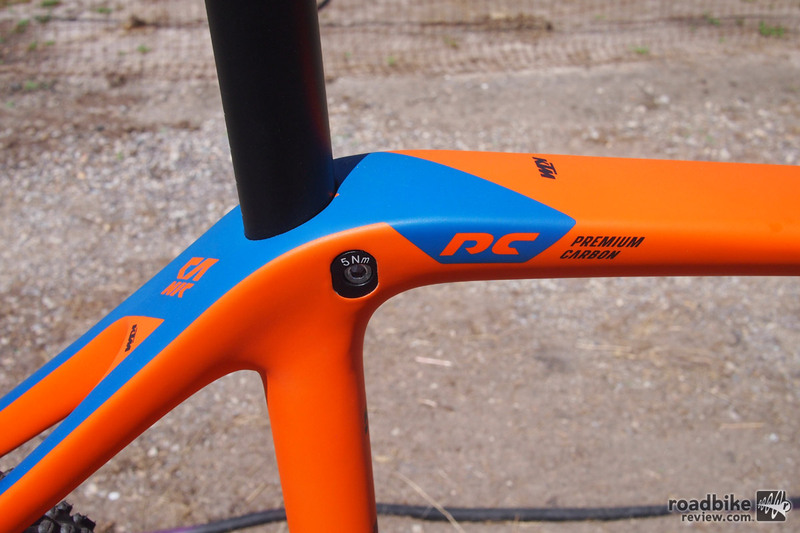 The Canic frame features KTM’s Performance Carbon and uses an interesting “hidden” seat post binder bolt (click to enlarge). 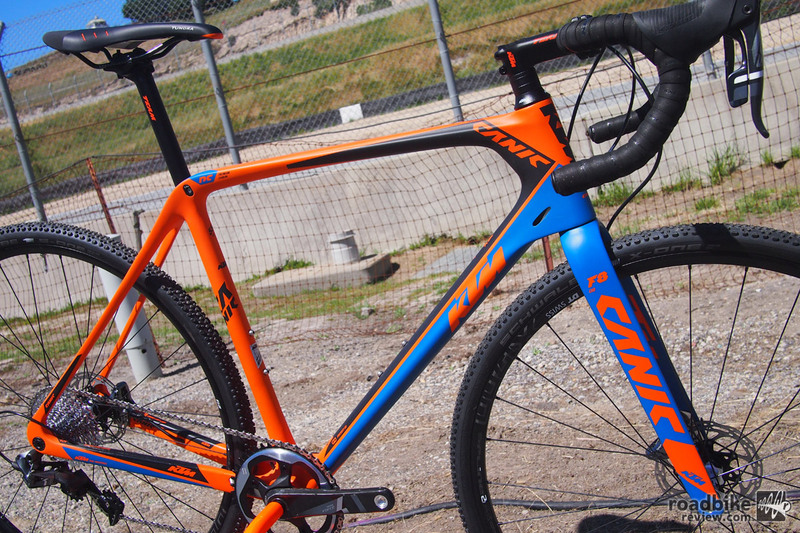 The Canic CXC 11 features KTM’s “Performance Carbon” (high-modulus) frame and the KTM F8 carbon fork (with carbon steerer) is their cross-specific high-end fork (15mm QR). The frame features slick internal cable routing for clean lines and is kitted with a full SRAM Force CX1 11 speed groupset. The rear of the bike is 142x12mm thru-axle and the hydraulic disc brakes sports 140mm rotors front and rear. Wheels are DT Swiss X 1700 and tires are Schwalbe X-One cross tires. KTM uses their own house-brand seatpost, bar and stem with a Fizik Tundra saddle. Claimed weight is 8.2 kg (18.07 lbs) for a size 52. Available sizes are 49-52-55-57-59mm and the retail price is $4,490.00. KTM is using the ever increasingly popular direct-to-consumer business model and their bikes can be purchased from their US based website. If the $4490 price tag is a bit too high for you, but you are intrigued by the brand, there is an alloy framed version of the Canic. 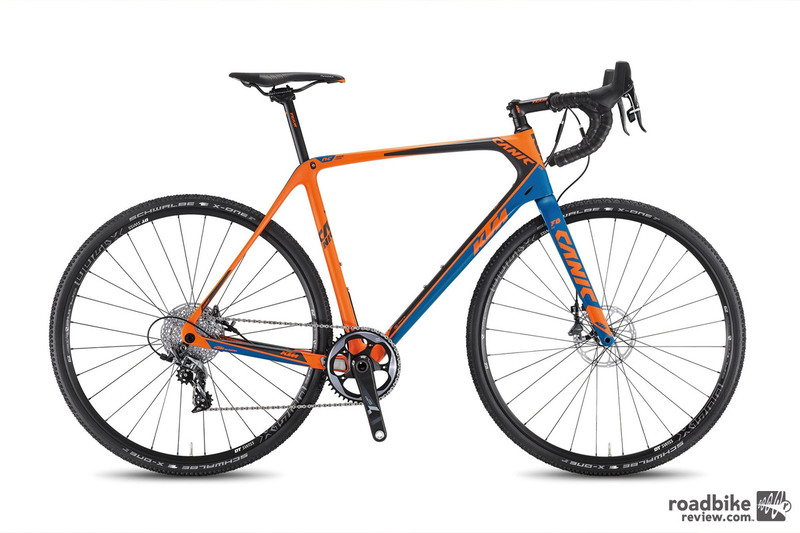 The Canic CXA (that would be A for alloy) comes equipped with a Shimano 105 2×10 drivetrain with disc brakes and retails for $2,285 (complete bike). 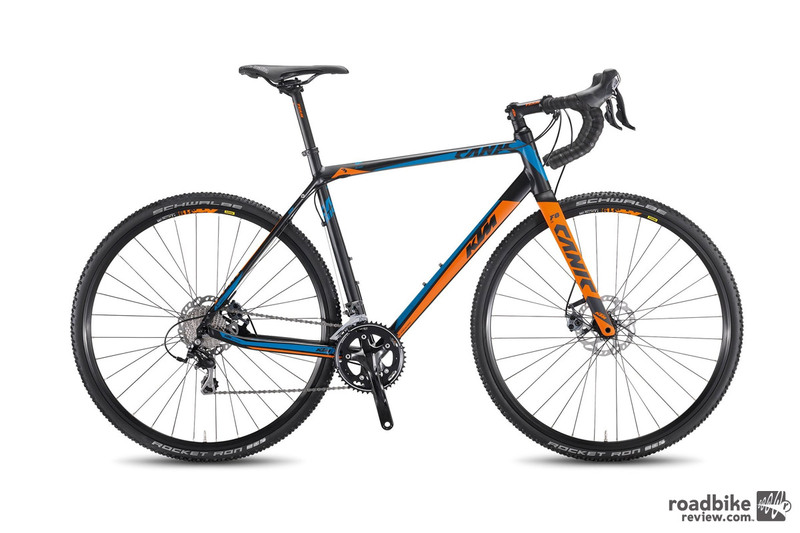 KTM offers a more affordable version of the Canic with an alloy frame (click to enlarge). 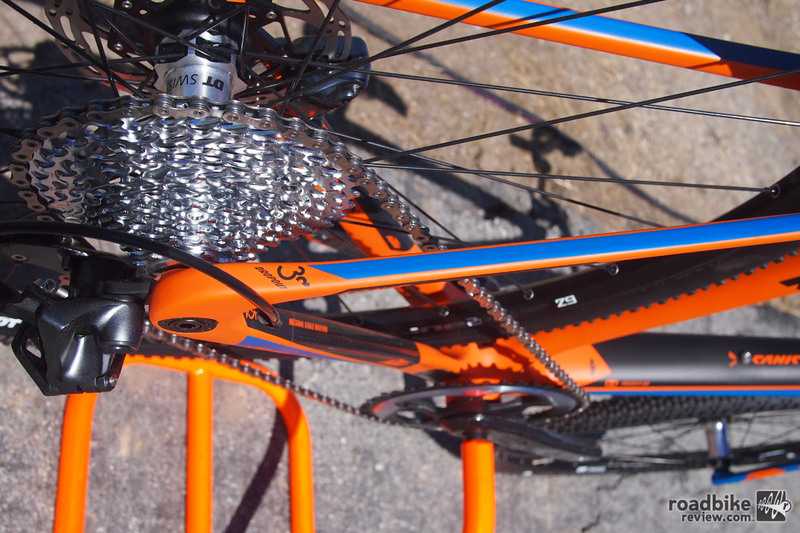 For more information about KTM’s US bicycle line-up, visit ktmbikeindustries.com. For information about the Canic CXC 11 from KTM’s European-based website, visit ktm-bikes.at. 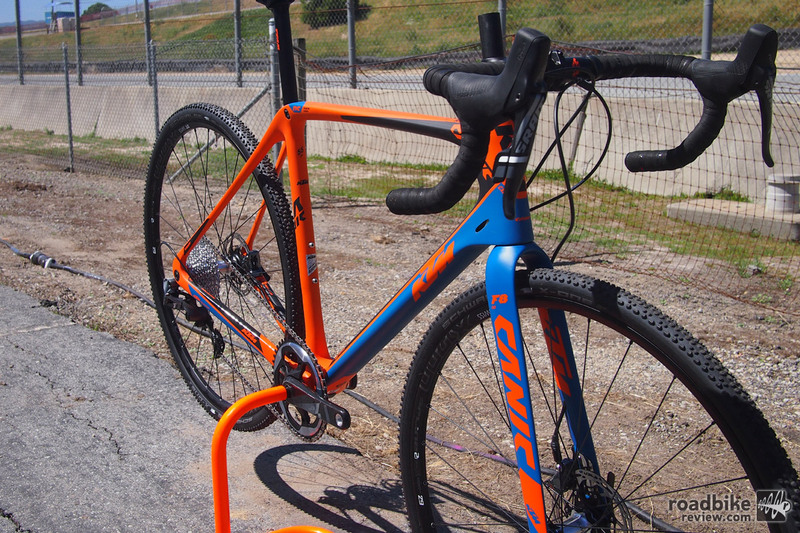 KTM brings their top-of-the-line carbon cross race rig to the US with a price of $4490. 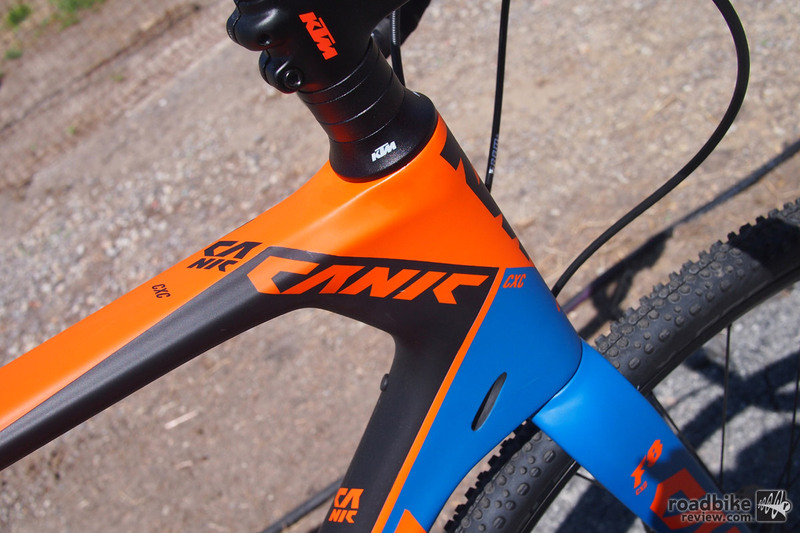 The Canic frame features KTM’s Performance Carbon and uses an interesting “hidden” seat post binder bolt. 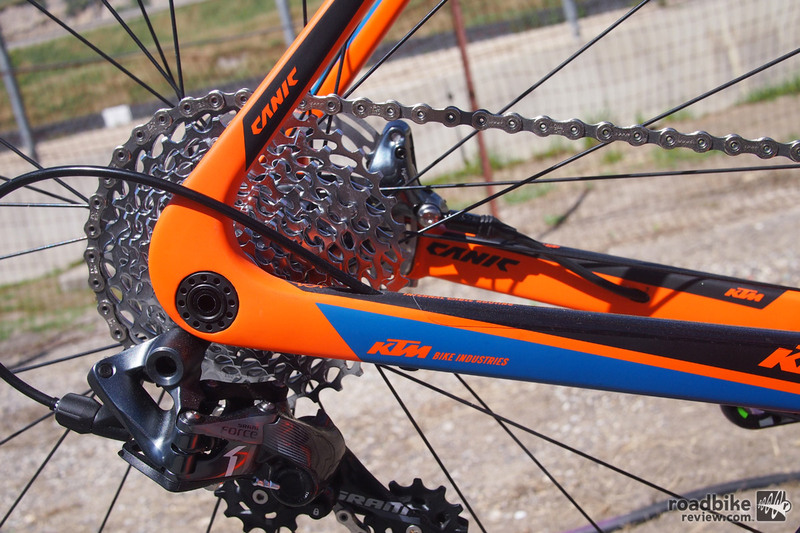 KTM offers a more affordable version of the Canic with an alloy frame.